Special Olympics Oklahoma offers 16 Olympic-style individual and team sports that provide meaningful training and competition opportunities for persons with intellectual disabilities. Oklahoma is divided into 14 geographic areas that are managed by volunteer Area Management Teams. In the spring, Special Olympics Oklahoma athletes train and compete in their area to advance to Summer Games. The athletes also train and compete in their area in the fall to advance to Winter Games. In addition, athletes who train in their areas qualify to compete not only in the State competitions, but they also are eligible to compete in National/Regional and World Games. Bocce is an Italian game. The basic principle of the sport is to roll a bocce ball closest to the target ball, which is called a palina. Bocce as a Special Olympics sport provides people with special needs the opportunity to have social contact, develop physically and to gain self-confidence. Bocce is the third most participated sport in the world and one of the most popular sports with our athletes. Ten-pin Bowling commonly called “Bowling” in the US, is a competitive sport in which a player (the “bowler”) rolls a bowling ball down a wooden lane with the objective of scoring points by knocking down as many pins as possible. Although Bowling does not belong to the Olympic sports, it is among the most popular sports in Special Olympics. It is a particularly beneficial sport to people with intellectual disabilities, irrespective of their age or sports abilities, since it ensures physical exercise and at the same time participation and social integration. Plus, it’s great fun! Cross Country Skiing is offered as one of three Special Olympics Oklahoma snow sports, along with Alpine Skiing, and Snowshoeing. Cross Country Skiing has been a Special Olympics official sport with events at the World Games since 1977. There are more than 41,000 athletes who participate in the sport of Cross Country Skiing across six global regions. Cross-country skiing is a winter sport in which participants propel themselves across snow-covered terrain using skis and poles. Football is an amazingly popular American sport, and Unified Flag Football is becoming extremely popular within Special Olympics. Unified Flag Football is a non-contact game played with flag belts designed to be safe and fun for all players. 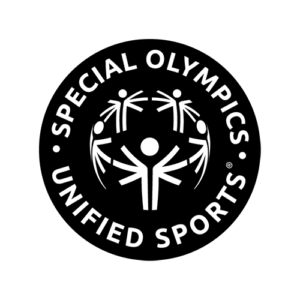 Athletes and Unified Partners train and play together in this highly competitive sport. Golf is a precision club and ball sport, in which competing players use many types of clubs to hit balls into a series of holes on a golf course using the fewest number of strokes. The game is played on golf courses, each of which features a unique design, although courses typically consist of either 9 or 18 holes. Horseshoes is an outdoor game played between two people (or two teams of two people) using four horseshoes and two throwing stakes set in a lawn or sandbox area. Players alternate tossing the horseshoes in this game of skill and fun. The Special Olympics Motor Activity Training Program (MATP) is designed for athletes who are unable to participate in official Special Olympics sport competitions because of their skill and/or functional abilities. MATP is designed to assist athletes to prepare for sport-specific activities appropriate for their ability levels. Snowshoeing is quickly becoming a favorite for outdoor winter activity. Combining aerobic activity with ease of walking over snow without sinking in, snowshoeing is an activity for all ages. Snowshoe races are part of the Heartland Winter Games and the Special Olympics Winter Games. Soccer (football in other parts of the world) is possibly the world’s most popular team sport. It is also Special Olympics’ most popular sport. Athletes compete on a Unified 5-aside team against other teams of similar age and ability. Softball is a bat-and-ball sport played between two teams of 10 to 14 players. Every team aims in scoring as many runs possible, against the opponents by striking the ball with the bat. It is a direct descendant of baseball although there are some key differences: softballs are larger than baseballs, and the pitches are thrown underhand rather than overhand. The game is played on a smaller diamond than in baseball and despite the game’s name, the standard softball is not soft; in fact, it is harder than a baseball. Swimming is one of the most popular sports in world. Unlike other sports, swimming is a life skill that is taught, first, to ensure safety and, secondly, for sports and competition purposes. Swimming covers a great variety of skills, from short sprints to longer events and relays. The game of Volleyball is attractive to all types of players, from competitive to recreational, young and old. To play volleyball players need to acquire a few basic skills and learn a few rules. The game requires very little equipment, and can be played almost anywhere from the beach to the gym. The aim of the sport is to score more points by hitting the ball with the hands and sending it over the net to the opponent’s court.